Product prices and availability are accurate as of 2019-04-19 06:23:05 UTC and are subject to change. Any price and availability information displayed on http://www.amazon.com/ at the time of purchase will apply to the purchase of this product. 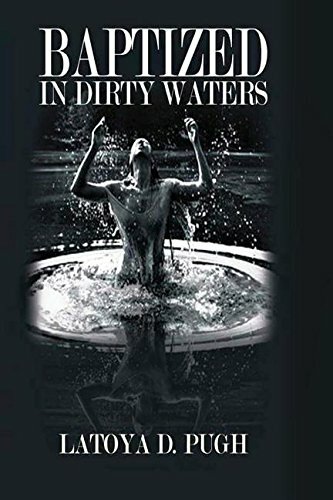 Author Bookstand is proud to offer Baptized in Dirty Waters by Bookstand Publishing. Bookstand Publishing offers books by the best indie authors throughout North America and the world. Bookstand Publishing is dedicated to offering original content to a broad audience and promoting great authors, literacy, and freedom of expression. Baptized in Dirty Waters has generated a lot of interest and excitement and we think it would be an excellent addition to your library. Would you believe me if I told you that there is HEALING in just telling the truth? Well, there is….. There have been so many things that have been swept under rugs, that it causes people to live lives full of undesired darkness, lies, and lumpiness. Baptized in Dirty Waters chronicles the beauty of deliverance, the liberation of transparency, and the growth that honesty affords us. Baptized in Dirty Waters is a jaw dropper of real life stories and circumstances that would otherwise not be discussed. It brings these issues to the surface with real life breakthroughs which will cause its Readers to face some truths of their own. Baptized in Dirty Waters is relative to anybody that picks it up because the TRUTH is STILL what will set us free! The realness of these characters will leave you with a new desire to search for truth and a new understanding. That is, no matter who we are, what side of the tracks we’re from, or our social or financial statuses; we ALL have been Baptized in Dirty Waters, but we CAN COME UP as white as snow….. Here’s to TRUTH! !